Skye Gravestones | Edith (Mark) & George Speed. Edith (Mark) & George Speed. 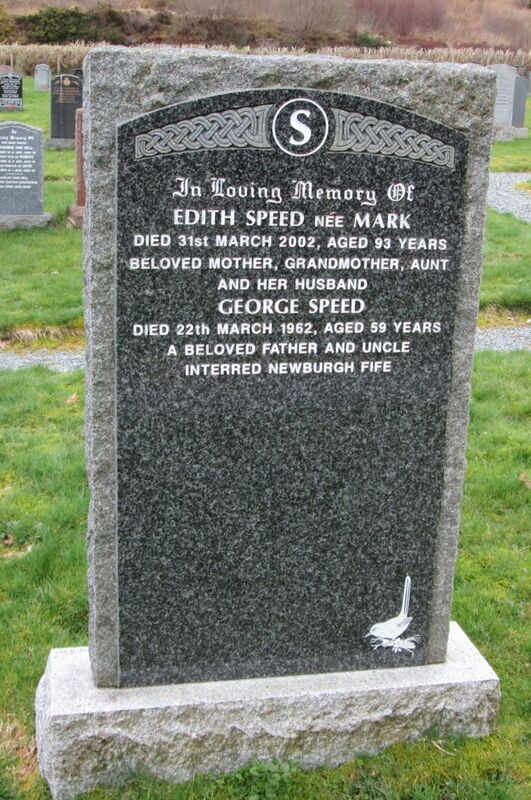 In loving memory of/EDITH SPEED née MARK/died 31st March 2002, aged 93 years/beloved mother, grandmother, aunt/and her husbnad/GEORGE SPEED/died 22th March 1962, aged 59 years/a beloved father and uncle/interred Newburgh Fife. Picture Added on 31 March 2018.